As my beloved departed Stefon would say, "Atlanta's hottest show is Kurios. It has everything: Russian strongmen, invisible lions, and a human telephone pole." What's a human telephone pole, you ask? It's that thing where men stand on each other's shoulders until their nearly 25 feet off the ground. I really can't rave enough about this show. 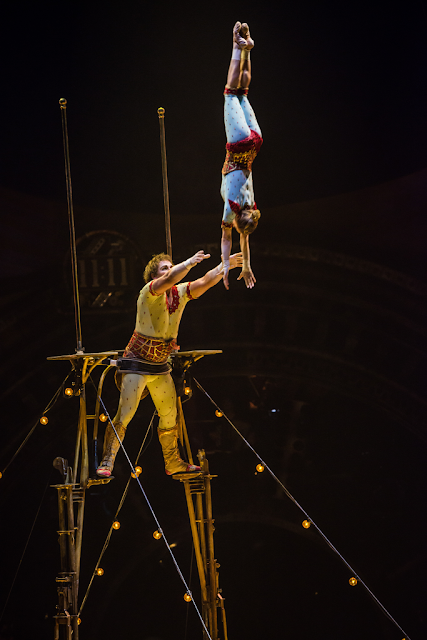 I've seen plenty of Cirque shows over the years, but Kurios was truly my favorite. As always the acts were both artistically beautiful and physically impressive. 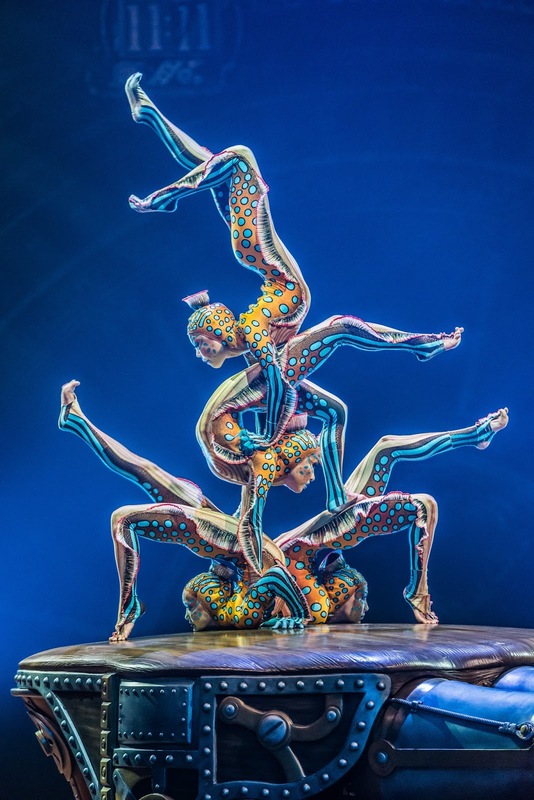 The show was quite literally more grounded, with more emphasis on high energy feats of strength and skill and none of the usual aerial contortionist numbers I've come to expect from Cirque. 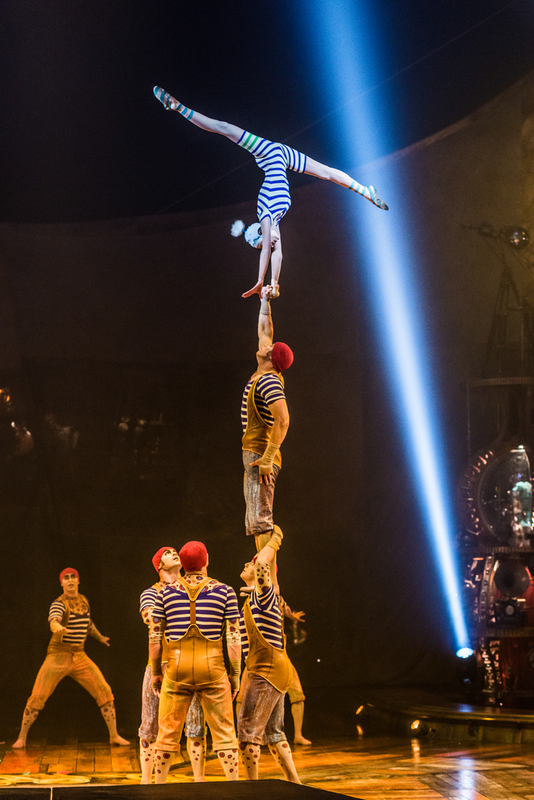 Highlights include the Russian Cradle Duo, in which a strong man acts as a trapeze for his tiny doll-like partner, and the Acro Net, in which sea creatures (read: men dressed in gorgeous fish like costumes) propel each other to dizzying heights on a net like trampoline. Having seen a lot of these shows, it's easy to feel blase about things that really should be amazing. 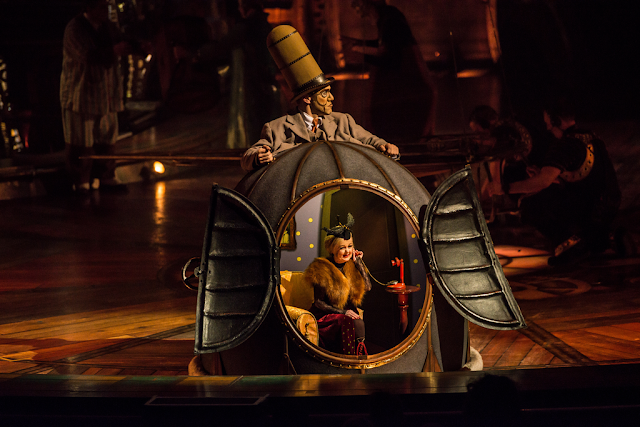 But I felt like Kurios put such a unique twist on each performance that it felt as fresh and thrilling as the first time. I also appreciated that the show was much more subtle about it's plot line than previous shows. I'm there for the artistry, not the story, and it had the effect of feeling a bit less hokey. The overarching story line has more impact on costumes and set than anything, and gives the whole show a steampunk effect. Two other selling points I must mention: I am a devout hater of clowns. Kurios pulled off a small miracle for me -- I actually enjoyed the one clown-like performer. His Invisible Circus and Seduction interludes were surprisingly charming and funny. And best of all, a very tiny lady makes a surprise appearance several times throughout. She is delightfully itty bitty, and I could not love her more. This show is awesome and is suitable for kids 5+ who can sit still for over an hour. The show plays at Atlantic Station through May 8. Buy your tickets here.